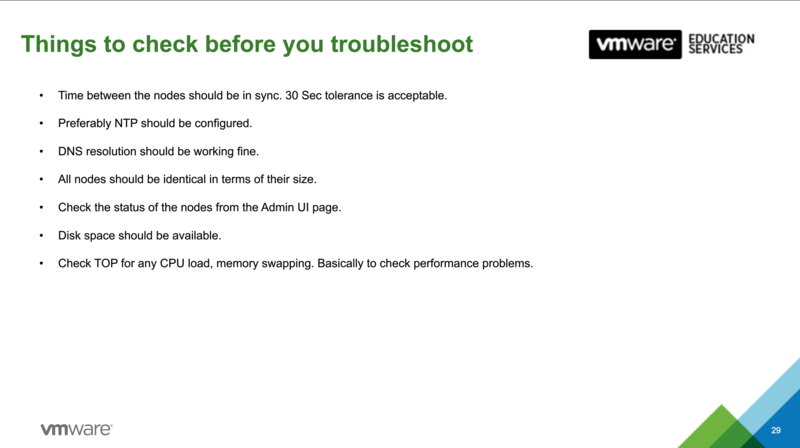 Been a bit slow on the posing, I had to buy a new lab server SuperMicro sys-5028d-tn4t (I will post about it at a later date…) this is due to my other 3 i7 ESX hosts being in transit from Australia as I had to move back to Switzerland for personal reasons. 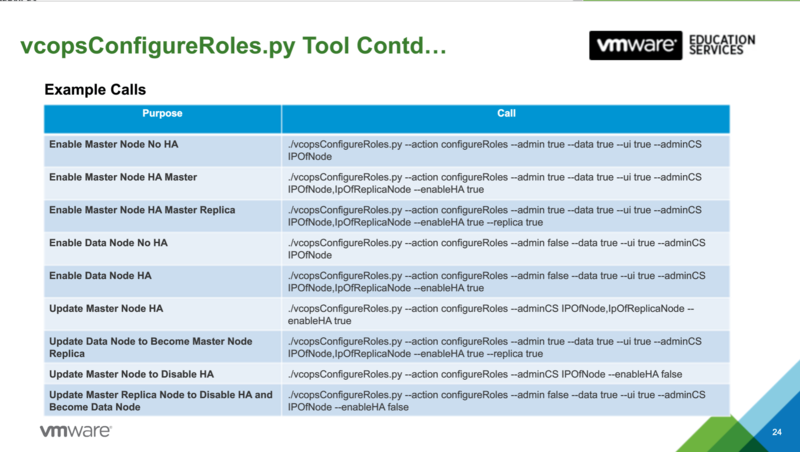 Some free vRops online classes below. 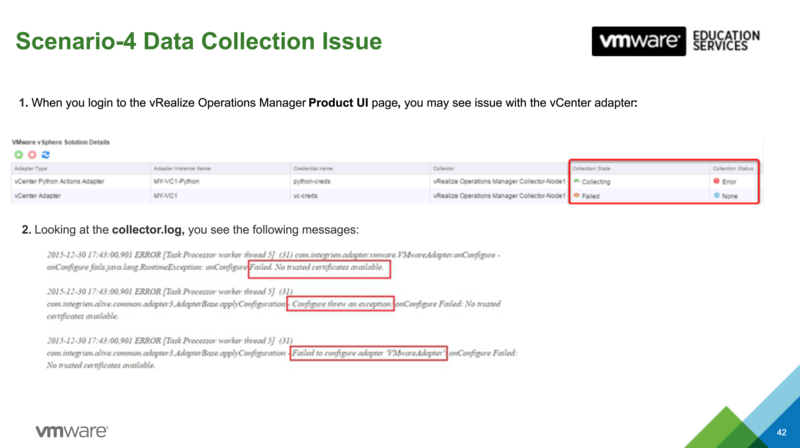 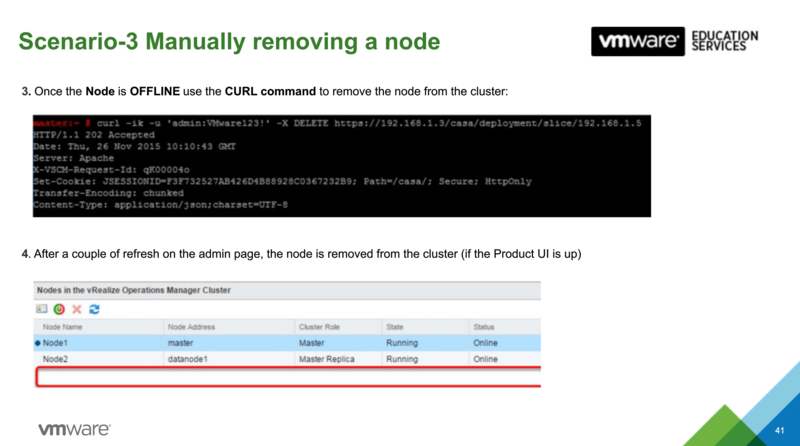 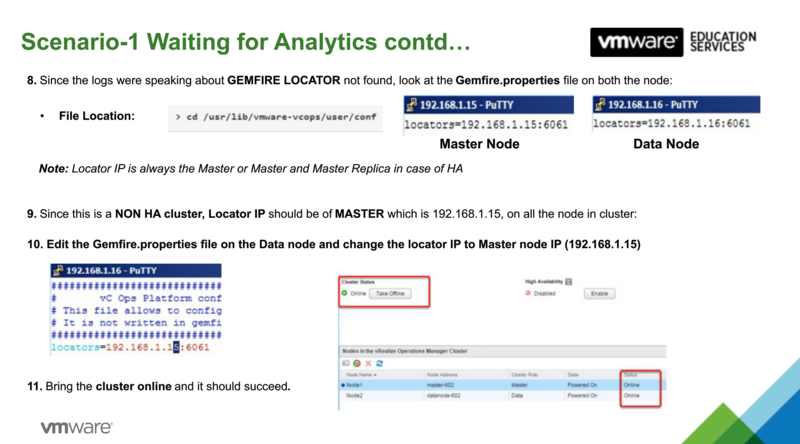 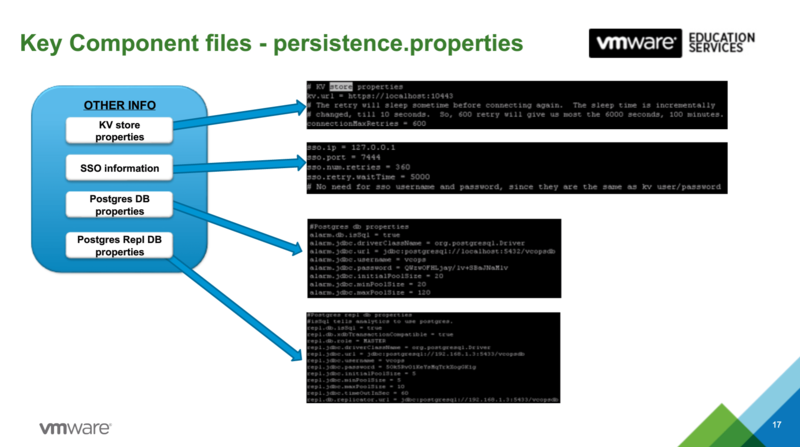 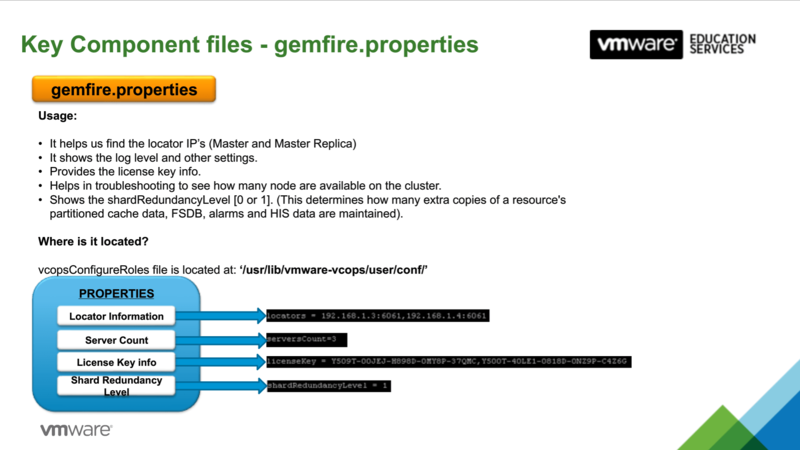 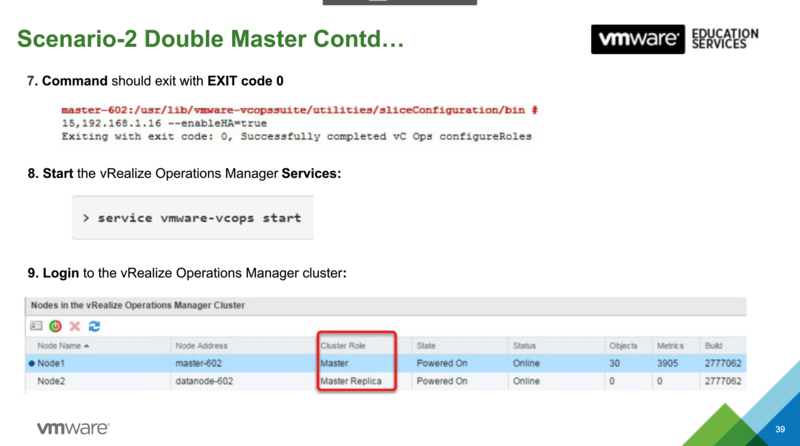 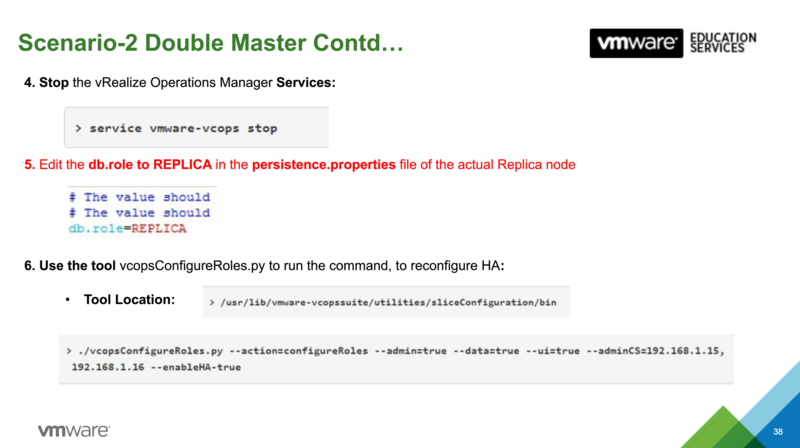 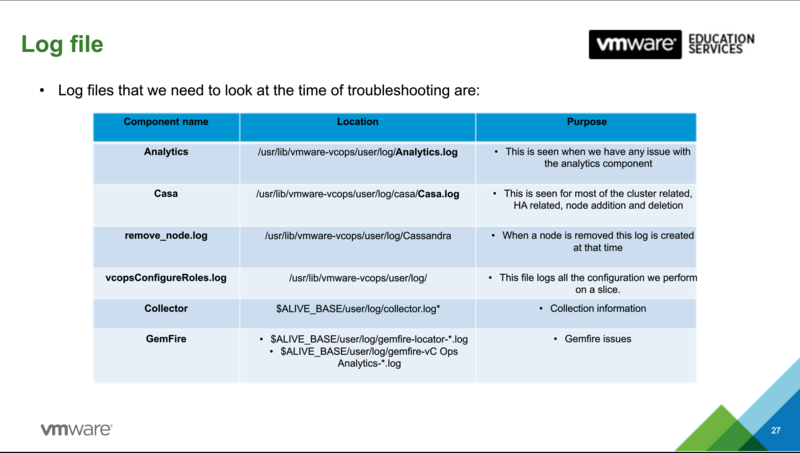 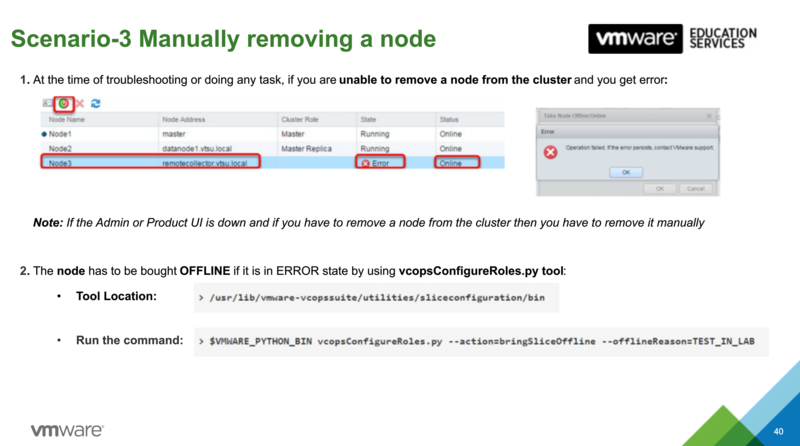 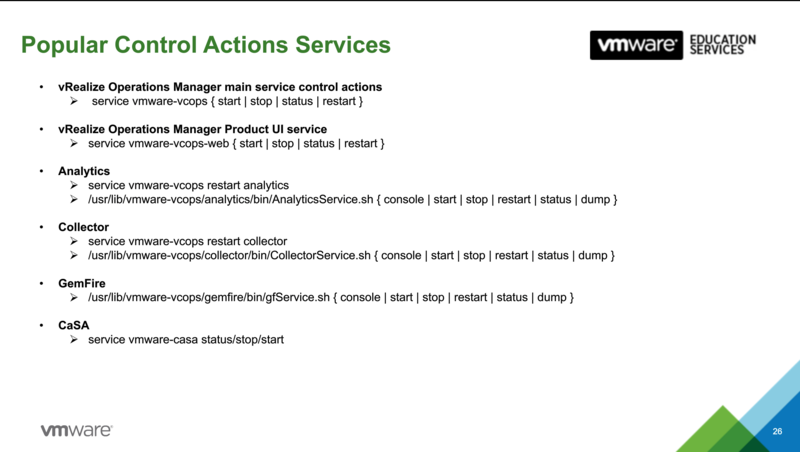 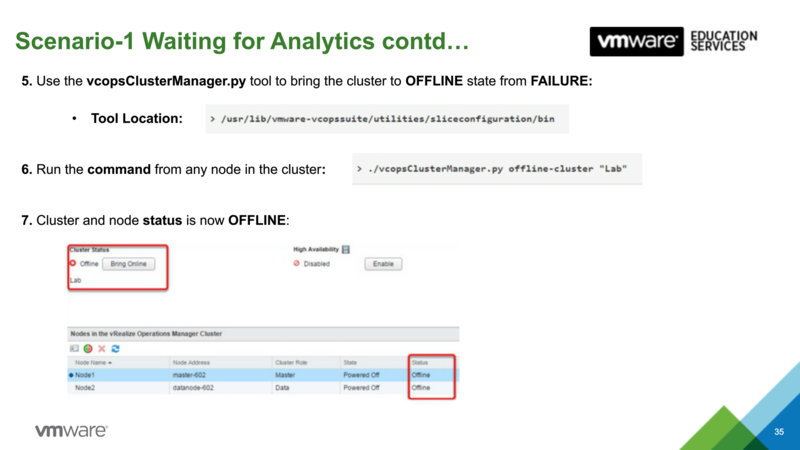 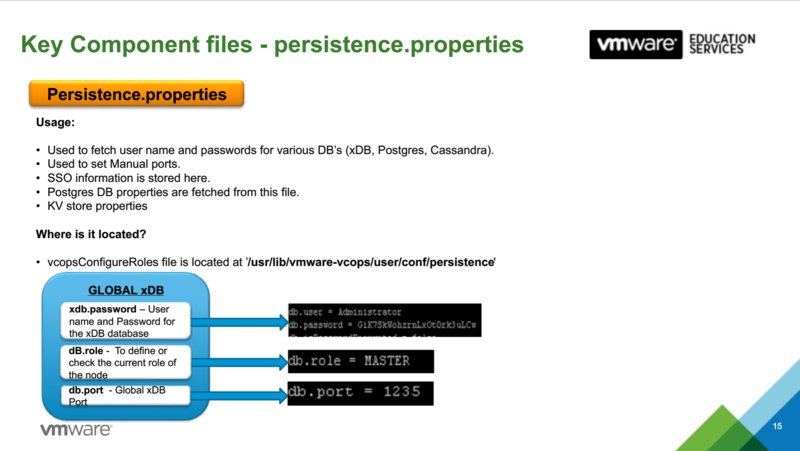 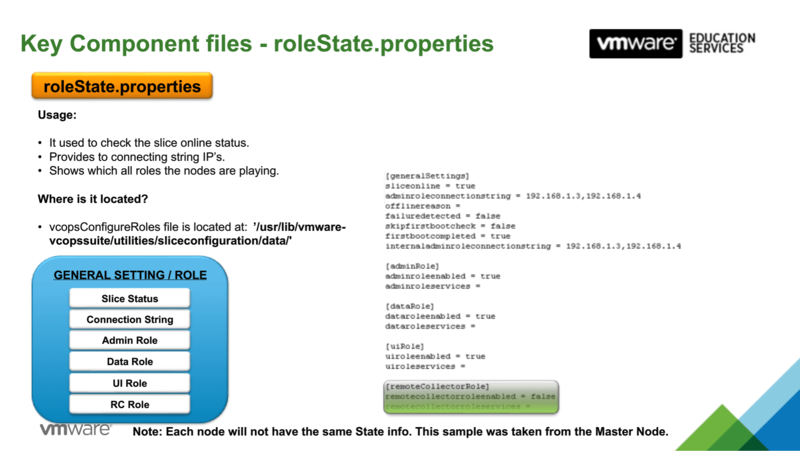 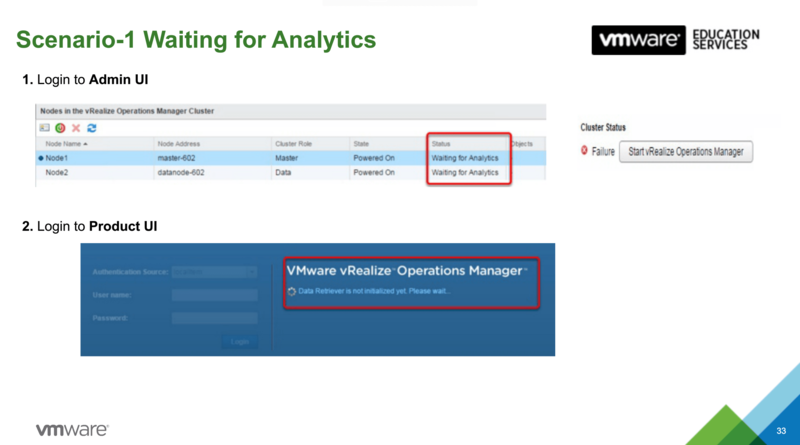 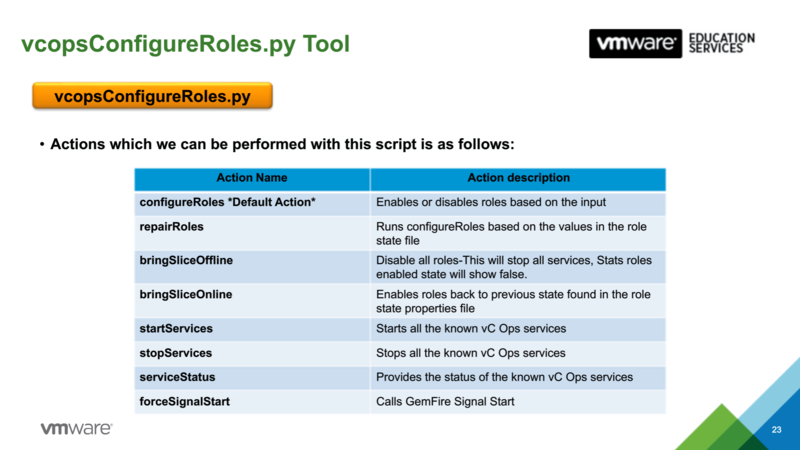 I recently attended an advanced troubleshooting session for the vRops application by VMware Education Services if you are interested in watching it click here and below you will find some useful screens from the presentation before you invest 50 minutes watching it. 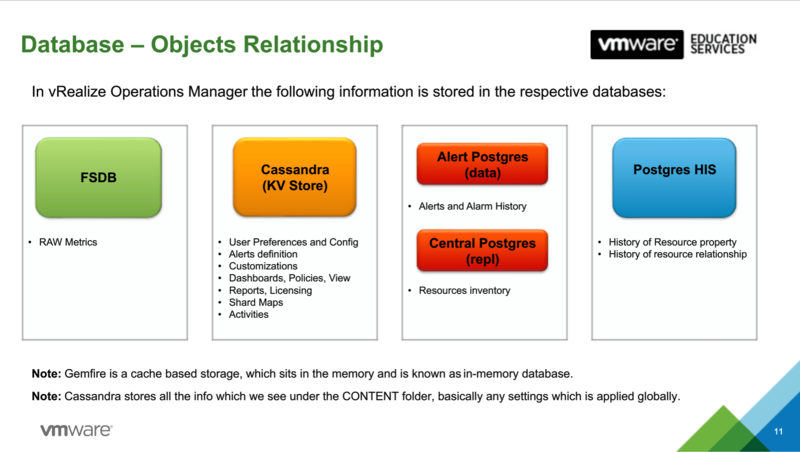 Cassandra (KV Store): User Preferences & Config, Alert definitions, Customisation, Dashboards, Policies, View, Reports, Licensing, Shard Naps and Activities. 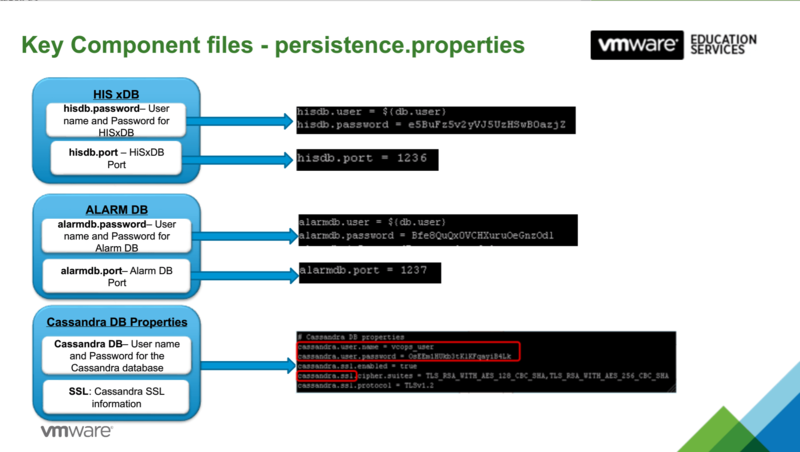 IP Address of the node / connection string. 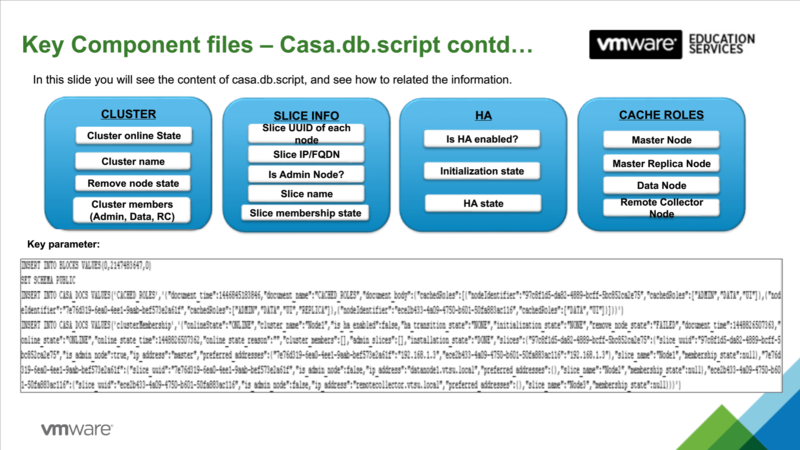 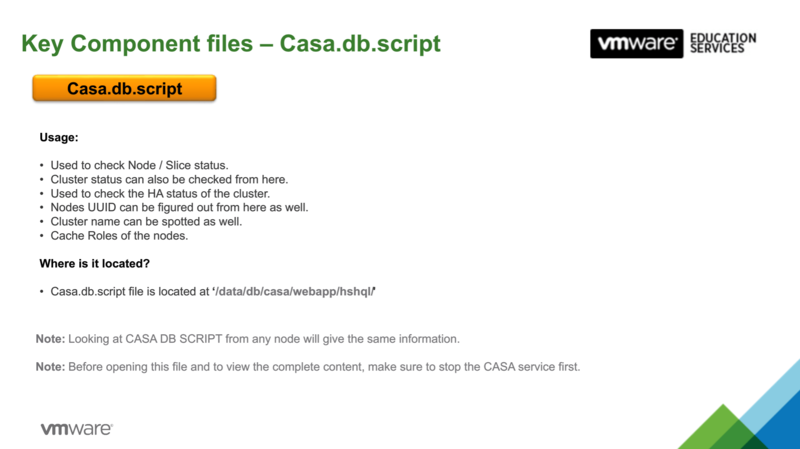 Make sure to stop the CASA service before opening the file. 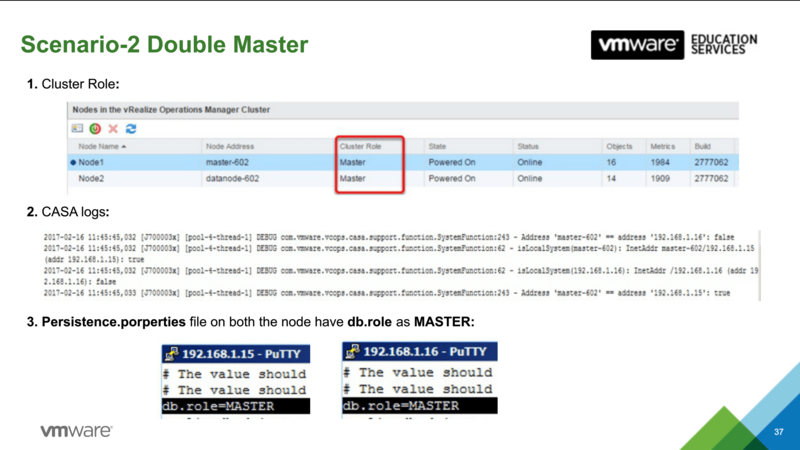 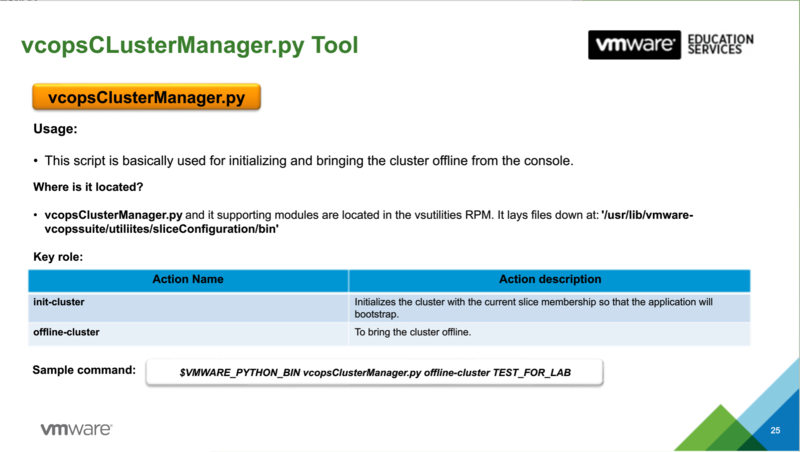 This will help you perform the types of fuctions which can be performed in the admin GUI, bringing online / offline the cluster, nodes etc..
Troubleshooting – Thing to check before!! 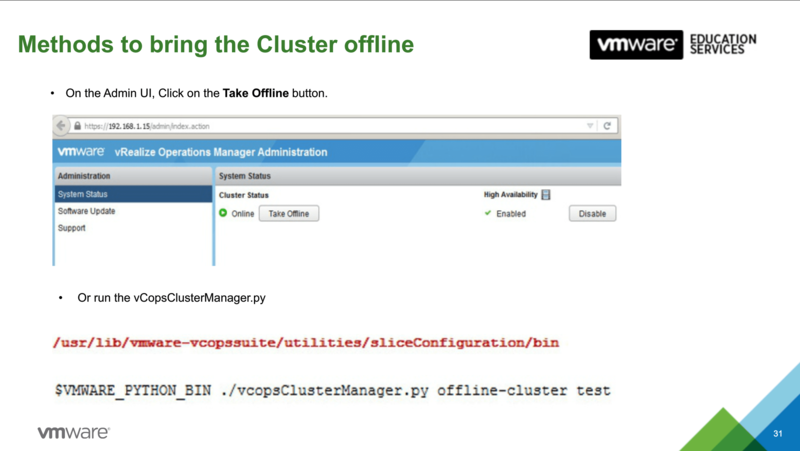 Before troubleshooting bring the cluster offline, if you can’t do it via the GUI here is the command to do it from the command line. 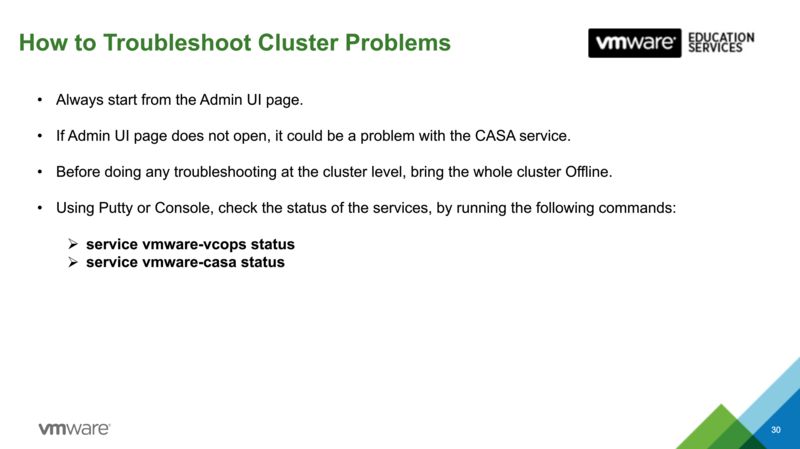 Troubleshooting some of the top issues with vRops!! 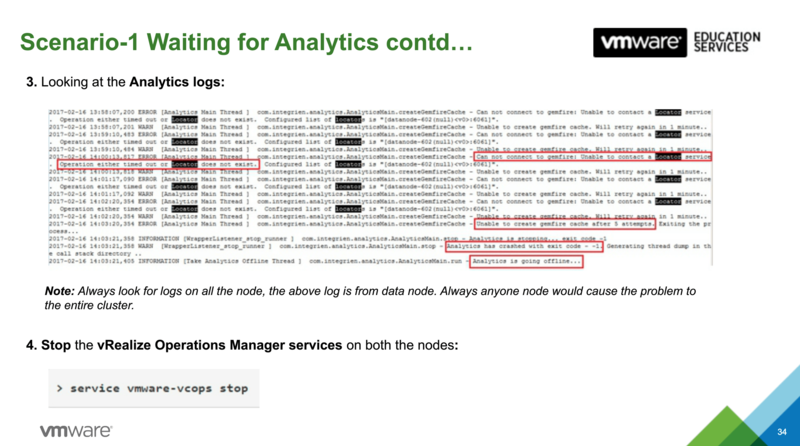 Start by looking at the analytics log on the master node.